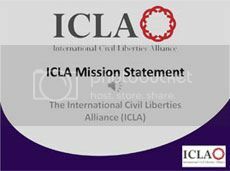 10 December 2013, Basel, Switzerland: Today – on United Nations Human Rights Day 2013 – the International Civil Liberties Alliance (ICLA) launched a new program: Victims of Sharia Action Network. The program will highlight the problem of sharia-inspired human rights abuses around to world to mobilize public opinion and action on behalf of the victims of sharia. ICLA now has a form on its website to enable victims of sharia, their family members, lawyers, or community activists to submit details of specific sharia-based human rights abuses. This form may be accessed at http://www.libertiesalliance.org/victims-sharia-action-network/vosan/. For many years the Organisation of Islamic Cooperation (OIC) has been trying to extend the reach of sharia by demanding a global blasphemy law. At the same time terms such as “Islamophobia” have been put into circulation to blame the victims of sharia abuse rather than its perpetrators. Meanwhile, within OIC countries like Pakistan, sharia is being used as an instrument to terrorize religious minorities. VOSAN will take a two-pronged approach. The program will expose and confront human rights abuses caused by sharia within Muslim-majority OIC member countries, as well as abuses of civil liberties and human rights caused by accommodation to sharia doctrine in Western democracies. VOSAN will focus public attention on cases of sharia-based doctrinal violations of human rights and norms of civil liberties, including: undermining freedom of expression, institutionalizing inequality before the law, encouraging cruel and unusual punishments, providing justification for gender-based inequality, promoting homophobia, persecuting apostates, and inciting the expansion of this systematic discrimination and violence to all countries, Muslim and non-Muslim alike. • Opposing the enforcement of Islamic blasphemy laws to Muslims and non-Muslims alike. • Campaigning for an end to sharia-based human rights abuses in OIC member states and other countries with a significant Islamic population. • Raising the issue of sharia abuses of human rights and denial of civil liberties in international forums such as the Organization for Security and Cooperation in Europe, and the European Parliament. • Encouraging Muslim reformers to partner with the VOSAN programme on specific cases, to free sharia’s victims. • Lobbying national governments to make combatting sharia human rights abuses a priority of their foreign policy. • Supporting the Universal Declaration of Human Rights by campaigning for the non-recognition of the Cairo Declaration of Human Rights in Islam on the grounds that it withholds basic human rights from both Muslims and non-Muslims alike. 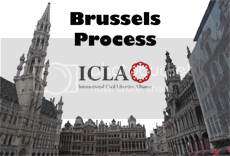 VOSA is an implementation of the Brussels Declaration launched by ICLA in the European Parliament in July 2012. The Brussels Declaration http://www.libertiesalliance.org/brusselsconference/2012-brussels-declaration/ aims to preserve free speech, civil liberties, human rights and democracy, against all efforts to injure and usurp those universal principles.